Birdsall Leather dye 1Ltr Solvent based small amount of alchohol for dispurtion, if thinning needed add water. Birdsall Leather dye 250ml Solvent based small amount of alchohol for dispurtion, if thinning needed add water. Birdsall Leather dye 2ltr Solvent based small amount of alchohol for dispurtion, if thinning needed add water. Birdsall Leather Dye 5ltr Solvent based small amount of alchohol for dispurtion, if thinning needed add water. 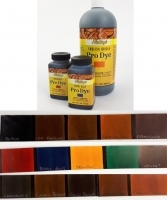 Dye Prep 32Oz A specially formulated cleaner that prepares leather for dyeing. 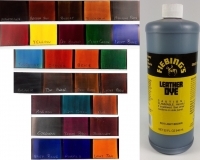 Dye Prep 4Oz A specially formulated cleaner that prepares leather for dyeing.